In the meanwhile, Fr. Edgar had been appointed Master of the Vocationary in Florham Park and later transferred to St. Michael’s Church in Newark, to replace Fr. Louis Caputo, S.D.V., who has been appointed Father General of the Vocationist Fathers. In 2003, Fr. Edgar was appointed Bishop Auxiliary of the Archdiocese of Newark. The news brought joy to all parishioners of St. Nicholas who still regarded him with lots of love. Fr. Antonio was then transferred to St. Michael’s Church in Newark and Fr. Armando Palmieri, S.D.V. was appointed to replace him at St. Nicholas. Fr. Armando M. Palmieri, S.D.V., was born in Altavilla Silentina, Naples-Italy. 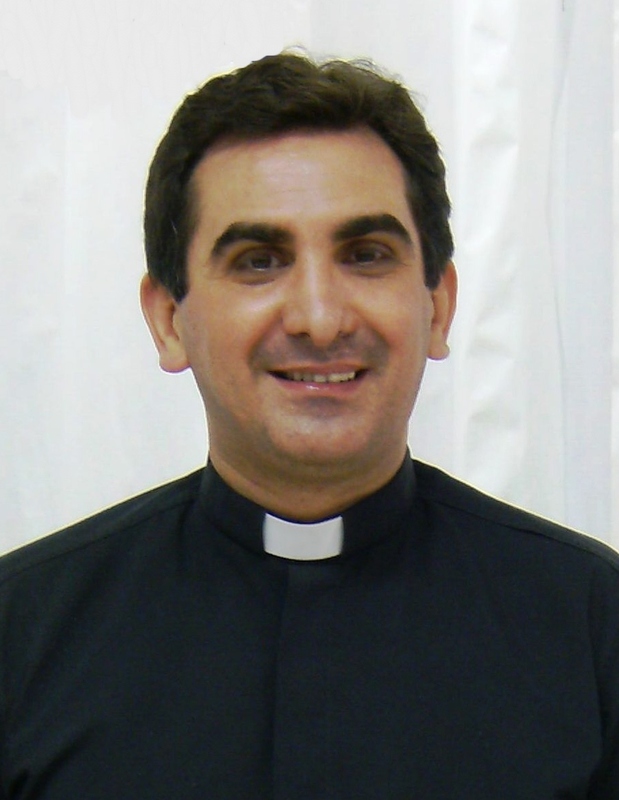 He was ordained on December 3, 1999, and almost immediately transferred to the US. Fr. Armando worked as Novice Master at the Fr. Justin Vocationary in Florham Park, prior to arriving at our parish. Fr. Armando was first appointed Administrator of St. Nicholas, and later Pastor. He remodeled the inside of the church with new floors, elevated the altar, and changed the colors in the walls. His first fundraiser event was the “Memory Path” in the path between the rectory and the school. Fr. Armando learned to speak Portuguese and become a true Brazilian at heart. He understood the need to maintain their cultural traditions and gave incentive to a great number of events in their community. His willingness to reach the Brazilian community was most shown when he brought a statue of Our Lady Aparecida, patroness of Brazil and supported the celebrations and procession of her feast day. Italians were also full of joy with their native Italian pastor and American were reinvigorated by his energy. In 2008, as we celebrated 25 years of the Vocationist Fathers at St. Nicholas, Fr. Armando created many groups to celebrate the charisma of Fr. Justin Russolillo. There were the Friends of Fr. Justin, the Prayer Group Fr. Justin, and the Vocationist Missions Cooperators. He supported the Holy Rosary by Brazilian men, the Youth Group, the Passion Play and many other activities in the parish. Fr. Armando was the Pastor of St. Nicholas from 2003 to 2011. On January 1, 2012, he was transferred to the new Vocationist community of Brooklyn, NY to be in charge of the Shrine of Our Lady of Solace. He had become a dear friend to all parishioners. St. Nicholas was his first parish, and they say the first one is loved the most and never forgotten. Even though it was a considerate distance, Fr. Armando remained a regular visitor to our parish. St. Nicholas started the year 2012 with the installation of a yet a new Pastor: Fr. 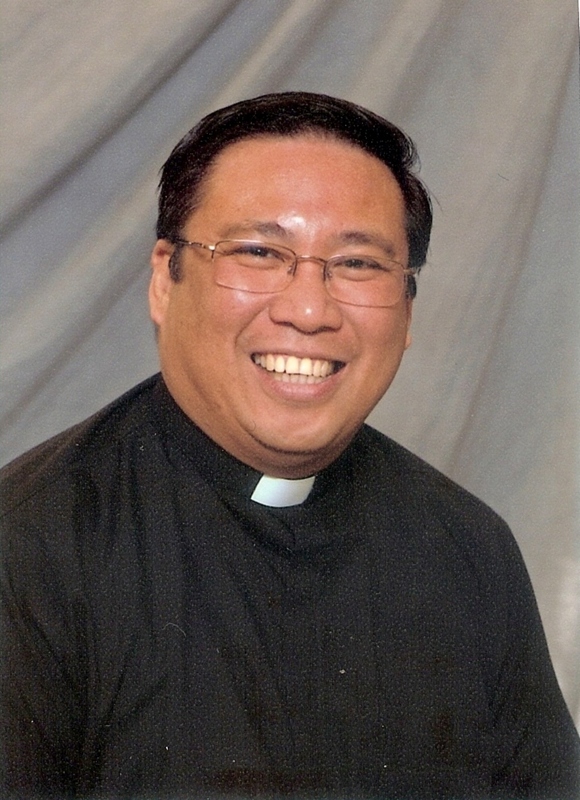 Jose Jeremy Soldevilla, S.D.V., a charismatic Filipino priest who had served many years in the Vocationist province of Italy, prior to his arrival in the US. He gained the admiration of our parishioners from the beginning with his cheerful personality. Fr. Jose Jeremy Soldevilla, S.D.V. On Saturday, March 17, the group of people attending the first mass at 7:00 AM experienced a terrible surprise: The beautiful statue of St. Nicholas, installed in front of the church, had been decapitated! It might be an act of vandalism, maybe terrorism, or hate crime. Fr. Jeremy spent days being interviewed by reporters from all kind of media. Nothing was proven and to this day nobody can explain it. Two good Samaritans arrived and restored the statue, free of charge, to its former glory. Fr. Jeremy promised to be a good pastor to St. Nicholas. Unfortunately, unexpected circumstances brought his term to an end. On April 29 of 2012, only a few months after being appointed pastor of St. Nicholas by the Archbishop of Newark, Most Rev. John Joseph Myers, Fr. Jose Jeremy traveled to the Philippines and never returned. His decision to leave brought pain and sadness to the parish. A sense of abandonment followed unanswered questions that were difficult to overcome. Due to the inexplicable absence of the pastor, Fr. 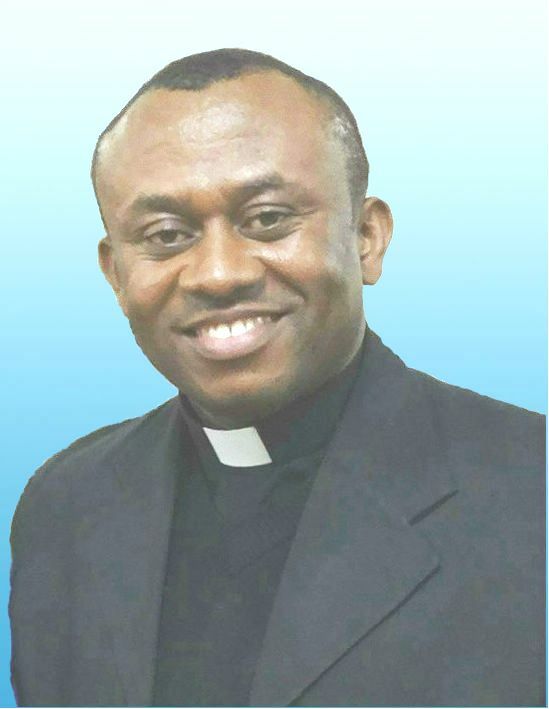 Stephen Ehiahuruike, S.D.V., then parochial vicar, was appointed Parish Administrator of St. Nicholas on June 20 of 2012. Fr. 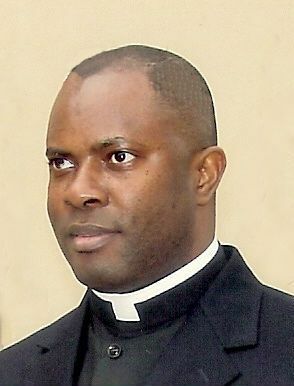 Stephen Ehiahuruike, S.D.V., was appointed Pastor of St. Nicholas by the Archdiocese of Newark at the beginning of 2014. Over 350 parishioners joyfully attended the celebration and reception of his installation day on April 5, 2014. His commitment to the parish and will to overcome their challenges brought new hope to the community that quickly saw in him a leader to follow, respect and trust. On September of the same year, Fr. Louis Caputo, S.D.V., former Father General of the Society of Divine Vocations – Vocationist Fathers, join the parish staff as Parochial Vicar. A few months later, Fr. Christogonus Iwunze, S.D.V. also joined the Vocationists of our parish. Fr. Stephen’s presence brought new life to St. Nicholas parish. His humble spirit healed old wounds. His smile welcomed back those who were away from our parish. New parishioners felt welcomed and energized by his homilies, by his cordial approach with so much love and respect for each individual he happened to cross path with. The 12:30 PM Sunday Mass is mostly attended by the CCD children and their families. Fr. Stephen asked questions to the children during Mass and patiently considered their answers. Parents witnessed in their children the desire to attend Mass, to wonder about God and to curiosity to know more about their Catholic faith. Fr. Stephen made it all very special for them. On June 2nd, 2017, an official letter arrived at St. Nicholas. It brought news of Fr. Stephen’s transfer to St. Francis of Assisi Church in Apopka, FL. After negotiations with the Bishop of the Diocese of Orlando, the Vocationist Fathers had acquired a new community, the first in the Southeast region of the United States. Father Stephen has been chosen to be its pastor. The urgency of his transfer was unseen before. Only three weeks to pack, to say farewell to his parishioners and to assume a position in his new parish. It was certainly too fast, too soon, and too difficult to bear. The time to say goodbye approached, the entire parish felt the sadness of losing such caring pastor. We prayed that he will always have a special place in his heart for the memories we shared. Archbishop Joseph Cardinal Tobin appointed Fr. Christogonus Iwunze, S.D.V. the new pastor of St. Nicholas on July 1st of 2017. Fr. Chris is from Nigeria. He had been a priest administrator in Sicily, Italy, prior to being transferred to the US. His joyful and humble attitude, his desire to make our parish prosper have shown he has all that is needed to keep St. Nicholas strong and alive for many more years to come. Most new parishioners, when registering at our church, usually confess having moved from church to church, in search of a nest, a place to call home, to feel closer to the Lord. They happily say they have found at St. Nicholas what they were looking for. We know exactly what they mean because this little church on top of the hill has been very special to all of us. And we will keep it going for many more years, for the future of our children, and their children to come. … and the work of the parish continues!